Formerly known as Poseidon House, the complex consisted of two rows of buildings facing each other. The site has now been refurbished into office and administration buildings. 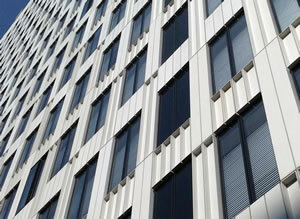 Glassfibre reinforced concrete (GRC) cladding has been used for the façades, replacing the original aluminium panels.